Barry Owens netted in the final seconds for Fermanagh to clinch a 3-10 to 2-13 draw with Offaly in the Division Three clash at Brewster Park. Erne forward Ryan Jones burst through before scoring the only goal of the first half although already-relegated Offaly led 0-9 to 1-5 at the break. Jones netted again early in the second half but Offaly hit back with goals from David Hanlon and Niall Geraghty. Limerick moved three points ahead but Owens fisted in to secure the draw. Offaly were seeking their first win of the league campaign and Niall McNamee slotted over six points to help them into a narrow lead in Enniskillen. Fermanagh made the perfect start to the second half with Jones completing his double after a neat one-two with Eddie Courtney. Offaly were on course for victory when Hanlon and Geraghty hit the back of the Fermanagh net. However, experienced defender Owens popped up in injury-time to deny the Leinster side, although they did secure a first point in the league. 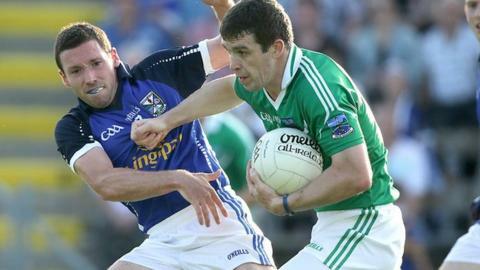 Fermanagh finished in third place on seven points with Offaly three points adrift at the bottom.